Last week I attended the International Digital Forum in London. The IDF is a largely unknown but fantastically excellent gathering of internationalisation specialists, where typically some blue chip companies, as well as OBAN Multilingual will take the stage and talk about their efforts, their struggles and what they have learned from their attempts to either expand, or optimise their operations in various countries and foreign languages. I almost never get enthusiastic about events. However, IDF seems to have managed to become an exception; one of the main reasons for my enthusiasm (and why I am definitely inviting my hotel clients for the October encore) is a combination of truly cutting-edge information on what is important in an international arena, and the immediacy and honesty of the speakers (this time it was OBAN, Fujitsu and Wiggle). Unlike the “look-at-me” presentations that one gets to attend so often, the speakers were refreshingly honest about what they learned from each market. In fact the snippets of accumulated wisdom (usually on the back of entertaining misunderstandings) make IDF an event that is as much fun as one can have at work (at least without breaking some important rules). I basically cannot recommend it enough. One of the most interesting and entertaining parts of the day was when the head of marketing at Wiggle spoke about their success in Japan, the truly intelligent and unique efficiencies in their operations (that clearly played a significant role in their enviable growth), but also the truly funny occasions where things didn’t go quite as planned. I thought that this time round, instead of giving you the load-down of the details, I might as well just show you a small highlight of what I think was the main point: Cultural differences going beyond the language itself. The example below shows how someone as well-equipped and proficient as mighty INTEL understands that not all markets should be treated the same. The link here, will open a new window that will show you INTEL’s advert of what they have coined as Ultrabook laptop computers (think MacBook Air, and you are there). I think that one of the overwhelmingly consequential stories of 2011, was that of the Greek financial and social issues. The topic has been covered very thoroughly by the world media, so I am guessing that just like me, you will have mixed emotions about my fellow countrymen as a whole. On the one hand, the irregularities (ranging anywhere from innocent mistakes all the way to blatant stealing – from both Europe, but also from the poor to give to the rich) have happened within the country itself. Unquestionably it has been the Greeks making their own bed (albeit messing up everyone else’s as a result) and that apportions blame squarely and wholly somewhere within the country. To use some culinary parallels to explain my views: whatever your position on the matter, I believe that the whole mess can be boiled down to a few key ingredients that have been cooked by certain people (from what in Greece is now called “the elite”) for almost three decades; unfortunately these were the same people that also happened to be in control of the books which were also thoroughly cooked. From these few ingredients, the one that is very easily underestimated is complacency. And in my experience complacency is a very contagious disease. During the autumn of 2007, when our BABEL Multilingual product was still in its infancy, I was starting talking to hotels about multilingual versions of their websites, and international marketing packages. Knowing that Greece attracts people speaking foreign languages in their millions every year, I did some research in new hotels in the country that were more likely to use and benefit from our services. Amongst many potentials, I remember finding a wonderful candidate. It was a five star property with some 450 rooms, in a prime location in Crete, near an airport (but far enough) and by a superb sandy beach. The hotel was independently owned, and only on the second year of its operation – which to me it meant that there would normally be a lot of room for growth of business. To cut a long story short, this property’s vital statistics made them an excellent candidate. According to my guestimations at the time, they could find themselves generating some pretty impressive profits within the first season of using us. I couldn’t wait to talk to them.. Unfortunately, my initial enthusiasm quickly evaporated by the hotel’s lack of a booking engine on their website. In fact, there was no way to make a reservation at that hotel, other than calling them, or emailing them and hoping for the best. Obviously there is very little point in pursuing, finding and getting visitors to your website from abroad if you don’t have a way to convert them to customers! For those of you that aren’t familiar with the issue of booking engines, I should briefly highlight here that for such a property having a booking engine is an absolute necessity. I don’t want to send anyone to sleep talking about a the different pricing models of agencies and the comparative costs; so let’s just say that in a country like Greece, a decent-sized independent hotel of this type on its second year of operation, would easily pay the equivalent of 30% for a reservation in commissions to all manner of agencies. Forgetting about the numerous benefits that further enhance the argument and necessity for a booking engine, I will just mention that when someone books a hotel on the hotel’s own website, the commission costs for that hotel would drop to anywhere between one and five per cent. It is relevant to mention here that agencies already squeeze hotels as much as they can, and as hotels have costs associated with servicing a room, bookings over the hotel’s own website represent a staggering benefit in profit levels – a 25% reduction in commission payments could be very nearly the entire profit on a room sold! So why on earth would anyone not have a booking engine – I hear you ask. I didn’t know either and I was too curious to let this go, so I decided to find out. I picked up the phone, got through to the General Manager, and basically asked the question. “Well, someone would have to manage it..” – came the answer. I was shocked. That was a prime example of (these days already hard to find) old-style Greek public-sector complacency having permeated the private sector. Of all the people to show such lack of interest in the hotel’s well being, to hear such a blatant statement of laziness from a General Manager… To me, that was just wrong. A year after this conversation took place, the financial world imploded. Today travel agents control the business for that hotel (and so many other hotels like it) and have forced the General Manager to drop her prices and increase the commission she pays to them. The owners were probably far too removed from the day-to-day decisions to identify the missed opportunity, and have now fully blamed the Greek corrupt elite for their misfortunes. Complacency and lack of understanding are a poisonous mixture for a business. Having worked with hotels from all over the world [and aware that I have no other evidence than our own contacts with the markets (hardly a statistically acceptable sample)] I would suggest that British hoteliers are on average less keen to move forward with international marketing than their international counterparts. Despite us being a firmly UK based company, today only 23% of our clients are located in the UK – the rest are based pretty much everywhere else around the world. The hoteliers around the world to whom we sell our services seem to be much more aware that hoteliers sell to travellers and that these days travellers don’t come from the hotel’s neighbourhood, and they don’t always speak the neighbourhood’s language. Looking at the flickering lights of the world economy today, I am strongly advising hoteliers to go after international business even if they do well domestically. Every incremental demand point is of benefit not only to the hotel’s pricing and yielding flexibility. It is also another point of safety in an unsafe world. If the pessimists of this world are correct, there is a lot of pressure for everyone in the not too distant future, and it will be only those who are prepared that will stand a chance to thrive. Recently, I have been asked by sevearal hoteliers to build Chinese versions of their websites. Given our rather unusual performance-related payment model, I have been doing some digging around, to find out more on the potential of growth from that particular market. A few days of research, and a visit to the excellent 1st International Digital Forum, I am delighted to report that it is mostly impressive news. “China has become a large and growing market that no hardware vendor, component maker or content developer can afford to ignore”. If hoteliers are to compete for internet business from China, they have to roll up their sleeves and get to work! The internet for the Chinese people is dominated by a company called Baidu – pretty much as Google and Facebook dominate the markets here. Given the size of the internet market over there, and the pace of growth of Baidu (in multiple markets), one cannot conceive to look at the Chinese audiences without looking at what Baidu does. The company has been on the news a lot lately. It launched back in September Baidu Yi – its own version of mobile operating system (like Google has Android over here), which will do everything that Android does, with some nice iPhone iOS-like add-ons. Also, Baidu has also just announced its partnership with Dell, for Dell to run Baidu Yi on their mobile devices sold in China. Looking a little further, we see Alibaba (one of the world’s biggest internet conglomerates) launching its own mobile OS in Chinese, found on their own K-Touch mobile smartphone, whilst every other mobile phone provider is making up their minds on how to enter the market. In fact, only two days ago the US Agriculture secretary visited China to boost trade agreements between the two countries, and Japan announced the merger of its Osaka and Tokyo exchanges in a bid to compete with China. It seems to me that everyone knows where growth is set to take place. The importance of the Chinese market is now more prevalent than ever, and the trend will not be changing any time soon. Whilst most of the western international markets are at a plateau – or even spectacularly declining (like the economy of my home-country), the words “boom”,”growth” and “development” seem to be permanently associated with the extraordinary economy of China. The “leap” from a growing economy of billions of inhabitants to a source market that potentially generates additional travellers to our hotels does not require a particularly strong imagination. Where there is boom, there is money; and where there is money, there is a potential source market. With travel restrictions having been greatly lifted, the Chinese are now allowed to book their flights and accommodation pretty much as the rest of us do. Hence, there is a growing potential in this vast, exploding source market. Although traditions and habits will probably need some time before they start tentatively changing, a tentative change in the Chinese travel patterns, is a tsunami of change for the rest of us. Every additional 1% of the Chinese people that book their holidays or business trips over here, will represent 14 million additional travellers. That is very nearly one Chinese person for every international tourist that has visited London in 2010! This is the time for hoteliers to look East and see an opportunity for growth. It is for that reason that I currently strongly suggest to all my clients to consider not only building a new website in Chinese; I also prompt them to ensure they are working with a booking engine that has embraced the mobile internet space – preferably through an app-like booking environment. If you are interested in seeing some examples of our work in Chinese website re-building, please just visit us here. Looking at the primary findings of a recent hotel online market research we conducted, it became somewhat obvious that multilingual international travellers are not “chased” by hoteliers. Unlike the occasionally surprising proficiency one can find in a hotelier’s online strategy when it comes to same-language markets, international source markets are – to put it mildly – mostly ignored. This suggests a significant opportunity for hotels, in the form of what is – in every way that counts – a “new” marketplace; one in which linguistic barriers have so far kept the competition away! If you are a hotelier, think of your PPC and SEO efforts… do you think you are selling to the Japanese in the same way that you are selling to the Brits? I am afraid that unless you KNOW the answer to be “yes”… you aren’t. Although this changes dramatically from market to market, the rule of thumb for the top city destinations around the world seems to be that a disproportionally low number of hotels chase international business. For such markets (think London, New York, Chicago, Miami, Paris, Munich etc.) this imbalance is presenting us with an interesting dynamic of supply and demand. On the one hand we have some finite and proportionately small – and (in most western countries) fairly accurately measured – demand for local accommodation from international markets. On the other hand, we have a very low number of hotels that appear to be interested in, and actively trying to reach, international markets. There also seems to be a very clear divide between large international chains and independent hotels – irrespectively of the standing or reputation of the properties in question. It would be somewhat impolite for me to point to any specific properties here. But, to get an idea of the point that I am trying to make without naming any names, think of the 5 independent quality hotels in London that spring to your mind. Find them in Google and see if you can find any languages there… Now, I know they have their reasons for this – maybe they really don’t need any more business directly to their website – at least not at an additional cost. However, the conclusion (which will be visited again further down in this entry) is clear. If you want to stay in one of those hotels, and you happen to come from Japan, you pretty much have to find and book this hotel via an agency. Now, it is personally important to me to mention here that the more I study, the more suspicious I grow of statistics and evidence. However, I have to agree that the figures available to us suggest a staggering opportunity for independent hoteliers, in the international/multilingual markets as a whole. In the case of certain cities with strong international demand, only those hotels that can speak the customer’s language (literally) have the chance to attract international traffic directly to their own website. The rest, don’t. Figures for international inbound travel to the UK are readily available for anyone with an interest in accessing them. One of my favourite sources is www.visitbritain.org who frequently update their figures and implicitly remind us of the magnitude of the opportunity in the international traveller. A good summary of the latest update on international tourism facts can be found straight on their website here (http://www.visitbritain.org/insightsandstatistics/inboundtourismfacts/index.aspx). Some of the quoted figures are truly staggering. Almost 30 million visitors in 2010 have generated almost 16.9 billion pounds in revenue to the country, and certain key performance indicators have pretty much stayed the same over the last four years – despite the rare turmoil in the international and domestic markets since 2008. More than half of those visitors (52%) were visiting London. There is no escaping that we live in a multicultural, multilingual world. The consequential complexities and inconsistent (and even incompatible) patterns of consumer behaviour between the various international markets make marketing to such an international audience a seriously complex affair. The very simple fact that a hotel is ideally trying to sell the same room to anyone in the world who potentially wants to come to the area, makes it all more tricky than we would ideally like it to be. We also know that not all visitors behave the same way. The reasons behind travelling (e.g. VFR vs. Business Travel), the age of the visitor, as well as the source country itself can make a great difference in the suitability of a traveller for any particular hotel. Looking at the table above, and making the assumption that all the Dutch visitors speak English (I have yet to come across a Dutch person that doesn’t speak English better than I do) leaves us with four major foreign language “powered” contributors to inbound international travel in the UK. France, Germany, Spain and Italy. These four countries alone represent exactly one third of all the international visitors that came to the UK in 2010! According to eye4travel (2008) some 70% of all internet users don’t speak English at all, or are uncomfortable using it for transactions… this is obviously a figure that refers to everyone with a computer and an internet connection, and we would be dishonest with ourselves if we didn’t assume that international travellers are more likely to speak English than the average user. Yet, the significance of language barriers is pretty evident from that figure – 70% is a high number in any language, and so is 60% or even 50%. In any case, I believe that there are only two significant questions to be asked by any hotelier trying to increase its direct traffic. Even if it were only a minority of international inbound travellers that didn’t speak English (and it isn’t), them being unable to find your website in the first place is – I am sure you would agree – a major issue! If you are a hotelier and you’re are reading this, the chances are that you are already doing some SEO and PPC for your website. Also, the chances are that you are NOT doing SEO or PPC for your German, French, Japanese etc. potential customers. Hilton is, Marriot is, and crucially Expedia, LastMinute and Bookings do (have a look at the Google screen captures below). At eHotelworks, when we were thinking of offering the BABEL Multilingual product, we run multiple search tests from several countries for multiple types of hotels, using a variety of languages and IP locations (in other words we were pretending we were searching for UK hotels from abroad). The results were really fascinating. From certain countries (most clearly show in Holland than anywhere else) the evident problem of being found appeared to be little. In Dutch searches, hotels without international languages on their sites produced mixed results (and much better than we expected). It seems that the Dutch’s ability to speak perfect English has permeated Google’s results. A lot of hotels – especially in what we call “narrow” searches (e.g. “hotel name” and “location” were used as search terms) – did come up in the first pages, no problem. On the other extreme, in countries and languages where English is not a prominent language or the language has a significantly different alphabet (Japanese, Arabic, etc.) no searches gave us any independent hotel results at all. Even when we were looking for hotels by their exact name and location, only agencies came back with results. Fascinatingly, Bookings.com – presumably through their very popular xml feed based service – seemed to power the staggering majority of results in the more obscure source markets (such as Greece in the example below). Even for the traditionally expensive keywords "hotel in London" there is a multitude of hotels having their direct links seen. Especially in the Local Results section. You don't have to speak Greek to notice that there are NO results, either organic or paid for, which belong to a hotel. The OTAs have the opportunity to rule the first pages of Google. Even the mighty Marriott and Hilton of this world have to give those bookings away to OTAs. The inability of hotelier to market to the many – and obscure – international languages is arguably – and at least in part – justified. As those that do engage in the “get the international traveller” game would testify, the law of diminishing returns applies with unforgiving realism. After the first few “top-tier” languages have been put together and offered to consumers, adding more languages is not necessarily a good idea. Going after certain countries that represent only a very small proportion of the overall inbound UK market is simply too expensive for the returns this market will generate, and therefore a good commercial decision to leave them out. It is most likely for that reason that you don’t get to see Expedia, Hotels.com, LastMinute etc. featuring in the Greek search results of Google above… It is too expensive to build Expedia in Greek and their commercial model is nowhere near as attractive to local wannabe OTAs as that of Bookings who seem to thrive over there not only through XML feeds to smaller operators, but also directly, on their own two feet. Some markets are – I would argue – no-brainers! With a third of all international travel to London coming from France, Germany, Spain and Italy, and (statistically speaking) with only a fraction of the hotels in your competitive set offering rooms to these countries through their own websites, there is a huge internationalisation opportunity that should generate some real results. Whatever your country, do talk to us. BABEL Multilingual is of the risk-free variety and I certainly believe in it. The nature of building and maintaining international presence against the OTAs doesn’t have to be alienating or difficult. We think it is completely worth it. Thank you for reading – as always we are completely open, interested and grateful for any feedback you may have. Our first hotel under the BABEL Multilingual brand is now live in German. We are delighted to have delivered the German Version of the Royal Park Hotel’s website to the world, and we are now looking forward to the first direct reservations from the country. Yannis Anastasakis, Director and owner of Electronic Hotelworks expressed his delight for the first BABEL Multilingual site becoming reality. For more information on BABEL Multilingual, please visit us at www.babelmultilingual.com, or have a look around at www.ehotelworks.com. After a lot of discussions, test, design and re-design, the two teams that have the understanding and resources to make a truly exciting and excellent product happen, have finally done it. I am delighted to announce that BABEL Multilingual, the new form of international e-commerce marketing for hotels, is now available for hoteliers to get… and if the conditions are right, we will do this for FREE… well, almost! Almost a decade ago, when I first met with the guys from OBAN in a presentation they did at the Sussex Innovation Centre, I had one of these light-bulb moments. Whilst the rest of us were battling to convince hotels that spending some money with Google for some track-able advertising was a good idea (again, this was a decade ago and the market was very, very different) OBAN were talking to their blue chip clients about the end game. Proper internationalisation projects where everything is done on a per country basis, with thorough and creative local research techniques that would help identify what the search engine AND cultural requirements of each country were, and use all this information for home-grown websites, talking to each customer in his or her language, from within his or her country… why hadn’t I thought of that??! I immediately knew there was a gap in the market there… hotels are natural targets for foreign customers. And searches from other countries, in other languages will always yield… well… “other” results. An international version of a hotel’s website, living and growing within the target (source) country HAS to be a good thing to have. And having it sooner rather than later, HAS to be a good thing, as age is generally a factor that helps you with your organic listings extremely significantly. I know that if a hotel places a .de version of their website properly in Germany, they will have what is called “early entrant benefits” for many years to come. There was definitely an opportunity there… Fast forward to today, and I am delighted to say that I genuinely believe we have come up with the answer. BABEL is a product where we take the hotel’s website and we re-construct it – using OBAN‘s awesome services – in foreign languages and for a foreign audience. First we look at each hotel individually in terms of price, style and location. We then make a call on where we think there is an opportunity for them internationally (given existing AND projected international tourism trends). Then we send the guys at OBAN‘s various international offices the hotel’s existing URL, and we ask them to evaluate if the website will work in that market. Each of the international offices will then re-construct the website from within that country to match both the online behaviour of the guests (e.g. the terms they are using to find a hotel) but also their cultural requirements (I always have fun explaining to hoteliers why their website is going to be having slightly different colours for a Chinese version..). The hotels typically approve any suggested changes right away and we crack on with buying the correct URLs, hosting a site locally (or simulating local hosting – depending on the market) and then fine-tuning the text. We then get the booking engine sorted. Pre, post and confirmation e-mails – as well as modification and cancellation confirmations are translated alongside with room and hotel descriptions. The entire experience has to be strictly seamless. We finally launch and we generate traffic and reservations from these countries.. and there is the kick. A hotel typically won’t have paid anything until that point. They are only asked to pay a commission on the value of the reservation, once the reservations start going through, and only for a period of time. When we have been paid for our work, the then established and well producing sites are returned to the hotels and the reservations from abroad become free! The real excitement for me is that this has never been done before. Hotels paying on a CPA basis for an established, thorough and otherwise very expensive multilingual expansion and localisation service is a completely new thing – and seeing it move from a glint in my eye a few years ago to a real, working concept that generated revenues for the hotels – where they didn’t have anything before – is just extremely rewarding! With thanks for reading – and don’t be shy to give us your feedback and thoughts. We are delighted to announce that eHotelworks have now created a truly exciting opportunity for one of its newest hotel clients, The Arch Hotel in London. The Arch is no ordinary hotel. 88 wonderful rooms, excellent public spaces and meeting rooms, and a genuinely impressive record of looking after guests. With the property being open for just over a year now, the Trip Advisor reviews are placing it firmly on the top of London’s elite hotels. Earlier this year, the Arch joined eHotelworks in being part of BABEL Multilingual, a revolutionary opportunity for a select list of hotels to compete with online travel agencies for reservations from abroad coming directly to their own website. “Unlike every other translation that you see hotels undertake, this property had the chance to get its first international language created through our BABEL Multilingual solution. That definitely means no ordinary translations! Using Oban Multilingual‘s extensive experience in cross-country on-line traffic and in creating content and designs that are both search engine and culturally optimised, TheArchLondon.de is enjoying a locally-focused presence in Germany, and is already well on its way in getting significant international exposure for the hotel. 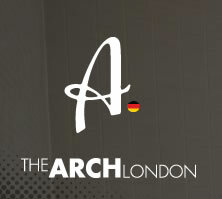 Through the Babel Multilingual product, the Arch had its current official website re-built – rather than translated. Respecting the look and feel of the original pages, the content of the English pages was re-created from scratch to match the terms that German people use when searching online. Possibly the most exciting element of the Babel Multilingual product, is that hotels receive the service of their international page re-construction without any up-front costs. Uniquely, eHotelworks offers the entire range of content and url research, website hosting, website re-construction, cultural optimisation and localisation on a Cost Per Acquisition (CPA) basis. Hotels are charged a commission on incremental reservations only when the international websites have generated reservations for the hotels. To find out more about potentially getting your hotel’s website re-constructed without up-front costs, you can contact us here.